What are your criteria for selecting a data center? We often see large colocation data centers promoting the fact that you should select their facility based on its close proximity to your office rather than the personalized service, scalability or advanced capabilities it can provide. Isn’t that wrong? Shouldn’t you be able to select a data center that’s farther from your office but offers the specific services and capabilities you’re looking for? A data center offering remote hands support enables you to do just that. What Does Remote Hands Actually Mean? While all data centers offer some level of technical support, select data centers add significant value to the services they offer. They employ a team of highly trained engineers who take on additional responsibilities to better serve the individual needs of their clients. These include resolving IT issues related to your infrastructure which would normally be handled by your IT staff. A data center with remote hands support enables you to focus your internal IT team on specific in-house projects while the data center’s engineers manage IT issues which arise in their data center related to your equipment and network. This ability for you to use the data center’s “remote hands” takes traditional IT support to a whole new level and should be a critical component of your IT strategy. 24/7/365 Availability: IT issues don’t just take place during normal business hours. They could happen at 2am on a Wednesday, at noon on a Sunday or on Thanksgiving Day. No matter the time of day or night, remote hands support is available around the clock 365 days a year to resolve issues. And, because the data center’s engineers are always on-site monitoring the network, they can often detect and correct potential problems before you’re ever alerted to them. Easier and More Efficient Installation and Deployment: The added value provided by highly qualified and trained data center engineers who know the facility inside and out and are able to install a custom network infrastructure designed specifically for you can not be overstated. 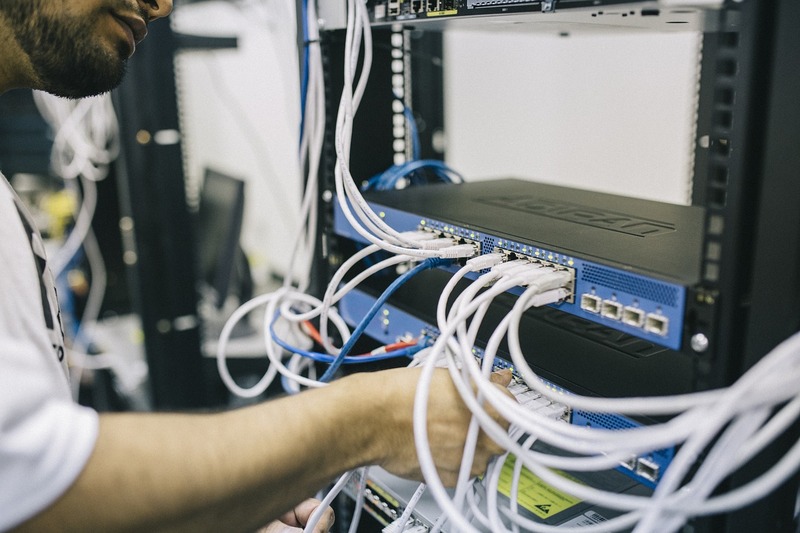 Remote hands engineers can rack and stack hardware, implement cross connect terminations, unpack and remove boxes, plug in cables, test circuits, supervise outside vendors, and replace tapes and other storage media. What’s more, since the remote hands team has an in-depth understanding of your equipment and network infrastructure, any future changes or issues can be resolved more quickly, efficiently and cost-effectively. Rapid Response to Maintenance Issues: When an issue occurs, even during normal business hours, it takes time for a member of your IT team to drop what they’re doing, drive to the data center, assess the situation and correct the problem. This causes the project they’re working on to be put on hold, decreases their productivity by taking time out of their day to travel to the data center, and decreases company-wide productivity as a result of additional downtime. Because the remote hands team is already on-site and familiar with the data center’s IT infrastructure, there’s no delay in getting started. They can also troubleshoot and solve the problem more quickly. Even for those situations where simple maintenance is required, the remote hands team can move, reconnect or upgrade equipment in less time than it will take you to drive to the facility. Better Uptime: Remote hands engineers are intimately familiar with the data center because they built it and monitor it around the clock. As a result, they can often address potential issues before they actually arise. This ability to anticipate problems enables them to provide greater uptime. Any amount of downtime can have negative financial and business implications so a data center that can deliver 100% availability as a result of its infrastructure and network design combined with continuous monitoring is a valuable asset to your organization. Greater Focus for Your IT Team: You’ve most likely been asked by your CEO to help drive business growth through the development of strategic IT projects. A data center that provides remote hands can assist you by removing the burden of traditional IT management, maintenance and monitoring from your shoulders. Let the remote hands team manage the IT tasks you would normally be responsible for so you can use the time you would spend driving to and from the data center on other IT initiatives. A data center’s remote hands are helping hands when and where you need them. From tackling everyday responsibilities to quickly unraveling a crisis, it should be at the center of your overall IT strategy. While remote hands services are not offered by most large data center providers, it’s a standard component of our MULTACOM IT infrastructure. In addition to the 24/7 on-site availability, ease of installation, rapid response, and increased uptime, we also have a wide range of servers, switches and other hardware already in stock and immediately available. There’s no need to wait for days for a shipment from a vendor to provision new hardware. We can provide parts in minutes, so you won’t have to incur any downtime due to product delays. MULTACOM offers free initial setup and rack up of your equipment as well as many of the typical remote hand tasks which are included with colocation service at no additional charge, such as swapping drives or bring your server to a point you can access it online. Remote hands support is available to all MULTACOM colocation clients. You can have peace of mind knowing that you’re able to focus on strategic in-house projects while MULTACOM is keeping a watchful eye over your network.